Whatever we might think about Google, the algorithm the company has developed is quite a clever little beast. True, the company has been in the headlines because of its tax affairs and the EU has taken it to task several times over its invasion of privacy. But in spite of these issues it remains the Number One search engine. And that means it remains the Number One focus for website owners. However, over the years I have been critical of such focus. Google’s own statistics show that only 27% of people who end up on a web page do so because of a search engine. In other words, when businesses focus all their energies on “search engine optimisation” they are putting all their eggs in a very small basket, ignoring 73% of their potential marketplace. You will find on my website several articles critical of “SEO” and the so-called “gurus” who seemingly spout all sorts of nonsense, much of which has to be dispelled by Google themselves, such as on the excellent YouTube channel run by Google’s Matt Cutts. When I write about SEO I am often taken to task by someone who specialises in search engine optimisation who likes to be known simply as “G”. Recently, I wrote something that really got to him – so much so he made me an offer I could not refuse. I gave “G” two websites to tackle, to see if he had anything to really offer you. Firstly I suggested he look at this site and then I asked him to find another ten things to improve www.usingflipcharts.co.uk. For this site “G” came up with 10 things – some of which I was aware of, such as the fact that the code was not compliant. However, he alerted me to several things which made me think. For instance. I had an “archive” of monthly blog posts stretching back several years. But, as “G” said, “do you ever use these to search for other peoples content… I suspect not. Either have a useful Archive by tag or category or lose it and let people just use site search”. Good point. The archive was just adding unnecessary code to the page, weighing it down and making it slower. Indeed, the slowness of the site was something else he picked up pointing out the results obtained at the testing site GTMetrix. This is a very useful site if you want to check how well your site is doing in terms of speed and gives you excellent tips and advice on changing things to make the site faster. When “G” pointed out the speed problems with my site, I checked what GTMetrix was saying and took the two measures upwards from scores of 94% and 76% to 98% and 87%. That’s important because the speed of your site affects not only what Google thinks about you, but what people reckon. And that’s another area that “G” picked up on my site too. He pointed out there were several “accessibility” issues such as the descriptions given to images – known as the “ALT” tags. These are what screen readers interpret for people with visual difficulties, yet mine made little sense. “G” has made me think again about how I tag my pictures and images. There were several other points which would no doubt help my site – though I have to admit some were likely to only have a minor impact, such as whether or not I should have a link asking people to rate my site. When I asked “G” to look at my Using Flip Charts site he came up with two suggestions. His first, was simply to close the site down. [Editor’s note: This site has indeed now been closed down..!] Here’s what he said. I like old websites; I have a feeling Google tends to like old websites, but, it is 11 years and it’s only got a PageRank of 1. Google isn’t trusting this puppy. If you want to keep running this website you need to regain Google’s trust. Here’s how. 2) Lose or improve your other sites – the ones with a PageRank of 0. But www.whyhowproveit.co.uk has a PageRank of 5.This is more like it for a 10+ year old website if the PageRank 0s are taken away it enables this site to be useful. 3) Remove the first photo of bloke with flip chart. 5) Remove the http://www.usingflipcharts.co.uk/#axzz2S4d5tsmb – it looks dodgy. 6) By this stage you’ll want to check the size of UK market for Flip Charts i.e. check this is worth doing in the first place…! 7) Product pages – i.e. http://www.usingflipcharts.co.uk/easel-pads/#axzz2S4d5tsmb – initially I thought it was a coding issue and was going to suggest pulling in or manually updating the Reviews to show stars…but then I found a few products with review stars. Double check the figures you found in answer to #6. Look for a few flip charts with 5 star reviews – list them. Move the Buy button to below the description. 8) Update the Videos page with more popular content or rearrange and put more popular content at top http://www.usingflipcharts.co.uk/category/flip-chart-video/#axzz2S4d5tsmb the current #1 http://www.youtube.com/watch?feature=player_embedded&v=z_vDz-SjKQI#! only has 283 views. The Famous Flymo Flip Chart Presentation… it Flew! 10) Replace the theme with a more modern look – preferably a bought theme rather than a free one. Wow. That’s pretty scathing advice. But it is ALL highly sensible, to the point and required. I set up the Using Flip Charts site to show people how you can set up and run a site based on selling affiliate products without too much effort. However, there’s a world of difference between “little effort” and “no effort”. I had fallen in to the trap of doing nothing with that website and it shows. Having said that, it does produce an income. What “G” has shown me is that if I get my act together and make the simple changes he suggests, I can certainly increase that income. What “G” also proved as that sensible SEO experts are not really that focused on the search engine, but on the website itself – exactly as it should be. 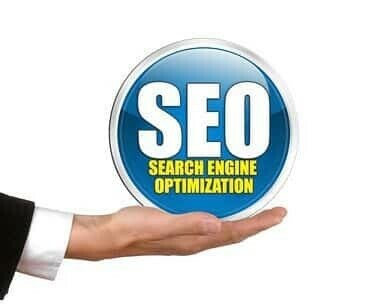 By getting the website right, the search engine benefits will follow. Many of us, however, have not got our websites right. Even those of us who purport to know a lot about the Internet clearly need to do that. So, how can you improve your website? Remember the offer from “G”? All you need to do is let him know the URL you want tested and he’ll find 10 improvements for which you will give £10 to charity. If he cannot find 10 things that could be improved, he’ll pay £10 to charity. To get him to test your URL just fill in the form below.